As one of the latest releases of NetEnt for Summer 2018, Fire Siege Fortress packs all the action, medieval symbols and even a fire-breathing dragon that can deliver expanding wilds. The action on the reels starts as soon as 3 similar symbols are shown, starting from the left. 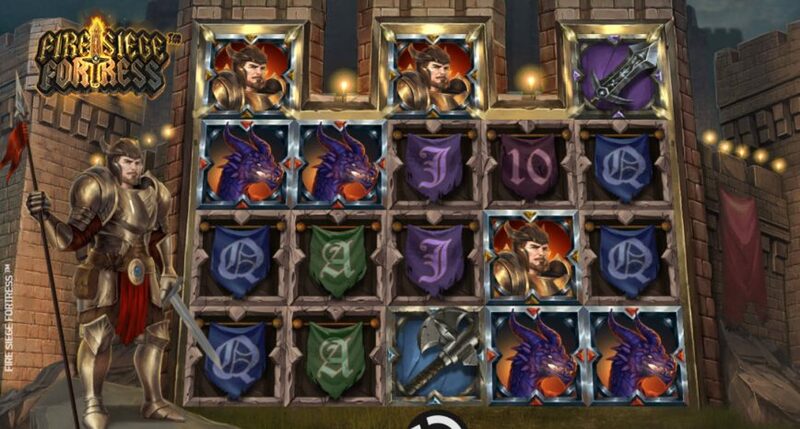 The two high-paying symbols of the game are the Dragon and the Knight offering up to 120 and 100 coin credits if 5 symbols are shown on the reels. These symbols are supported by the weapons of the knights like a sword, ax, and hammer which also offers up to 40 coin credits if 5 symbols are displayed. 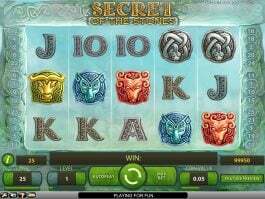 There are other low-paying symbols that are used in the game which can offer decent winnings of up to 20 coin credits if 5 similar symbols are shown. The action starts to grow as soon as the special symbols of the game are unveiled, activating the special features and functions. 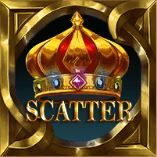 The scatter symbol is represented by a crown, and it’s the key as well to activate the free spins mode. 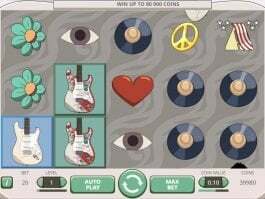 The game’s free spins mode can be unlocked if 3 scatters are shown on reels 1, 3 and 5, and each scatter that will be displayed on top of reels 1, 3 and 5 will 6 free spins each. The free spins mode will award 3 Fire Spins while theTower Coin Win will deliver a coin win 5 times the bet made. If the wild will land on the bottom of reel 2, the Archer Attack feature will be unlocked. This feature is activated if the wild will land on the bottom of reel 3. Once activated, an expanding wild will be shown on reel 3 transforming all the symbols into wilds. This feature is activated when the wild will land on the bottom of reel 4. During this feature, one or two giant wilds will randomly appear on the screen. 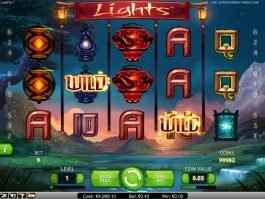 In this action-oriented slots game, players are presented with 576 ways to win and coin values that range from 0.01 to 1.00 with up to 10 bet levels. 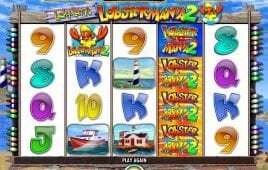 This means that players can make a maximum of 200 betting units if they want to have a shot at the jackpots promised by the game. 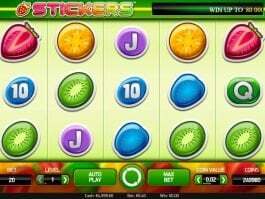 This NetEnt slots game is playable across multiple devices that include mobile phones, desktops, and tablets. 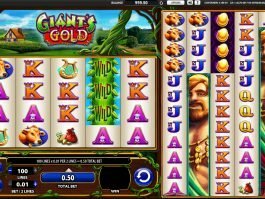 In this slots production, NetEnt fuses an exciting medieval theme with action-packed features and symbols. The playing grid rests against a fortified fortress with the cries of dragon adding excitement and authenticity in the game. Currently available in selected online casinos, Fire Siege Fortress is expected to appeal to players looking for challenging action and a lucrative jackpot that can reach 3,456 times the bet made.